The players and their umpire Charli (in the tutu) dressed up for their match against Sandown and raised £55 for Net 10 for Life. As Egham said "This is such a brilliant way of raising money for such a good cause. " 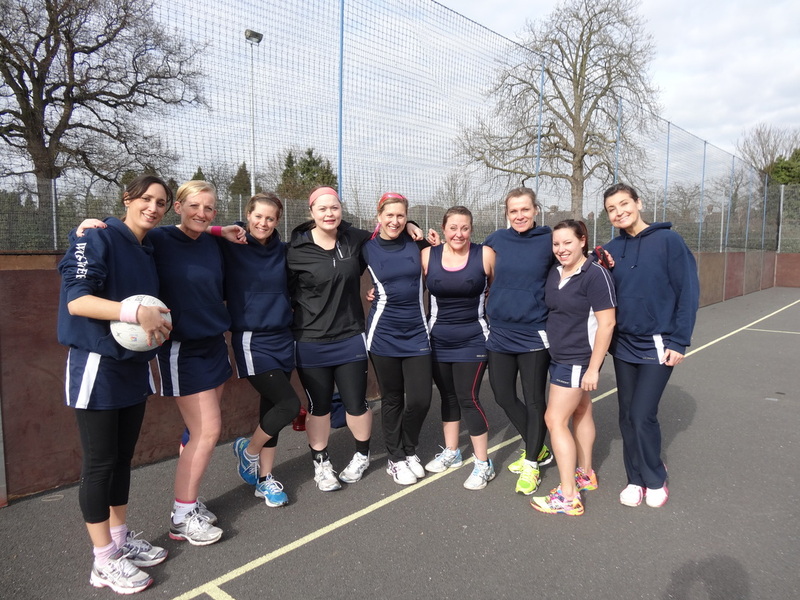 Barnes Netball Club's Barnes Netball Club. 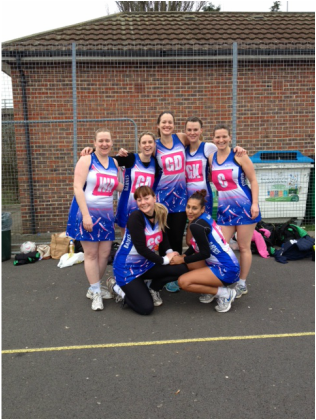 The Club raised £22 for Net 10 for Life and embraced the event by wearing their old kit for one match which is full of pink colour. Well done Barnes NC. 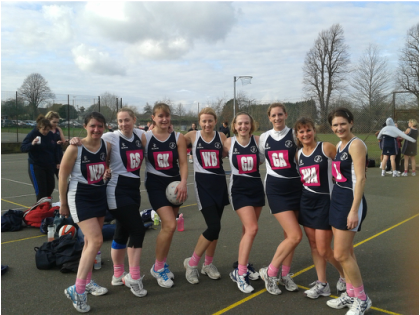 "Fetcham NC who also raised money for Cancer Research- check out the pink socks!"